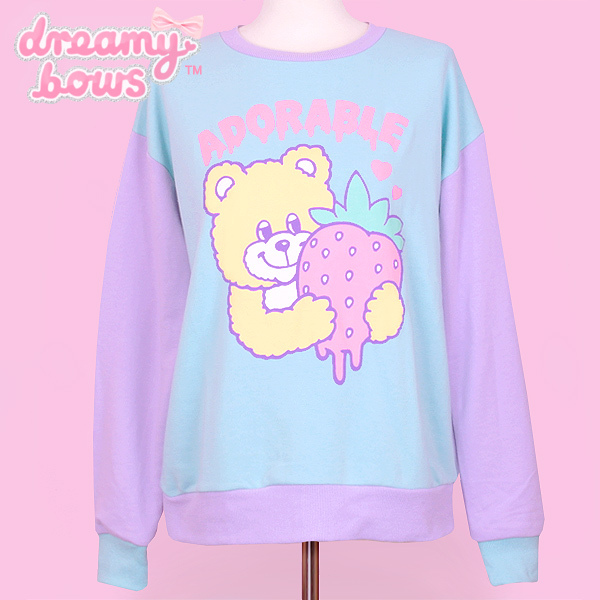 This cute and unique sweater from Listen Flavor is made from two different colour fabrics for an unusual and impactive look! 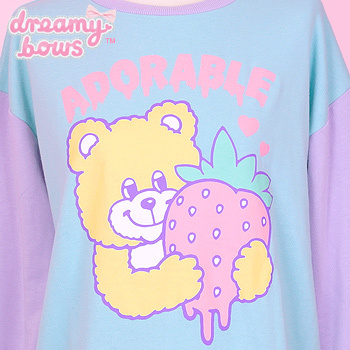 The design features a cute bear hugging a melty strawberry, the slogan "Adorable" is written in drippy text above. 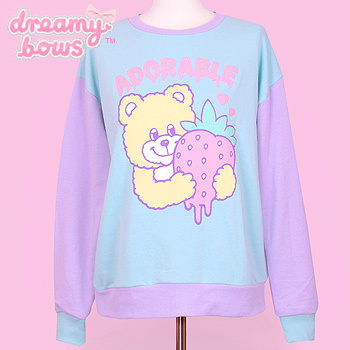 This particular sweater is a little shorter than other Listen Flavor designs and is perfect for accommodating voluminous tutus and skirts, or simply if you prefer a more petite fit.